If you are holding a party, wedding or any other function, we have lighting solutions to give your function the right atmosphere. Below are short videos to give you an idea of what the lights look like in action. Our disco lights are all sound activated with a DMX input, for those who prefer to do their own programming. The lights can be either floor mounted on H-stands (supplied free of charge) or if you would like them to shine downwards, we have 2.5m tall T-stands which take up to 4 lights. As well as LED ParCans, we still have the old fashioned bulb type Par 56 cans with colour filters. These make wonderful "wash" lights, where they appear to fill the wall with a colour of your choice. In order to get that "club" feel, you will need to get a smoke/fog machine. The smoke enhances the light rays. Please note that some function centres do not allow foggers because they fear that the smoke will set off their fire alarms. Please check with them first. 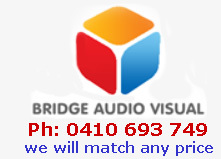 Please give us a call if you would like advice on how to combine sound and lighting for your next party.